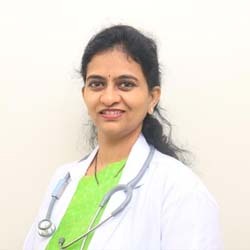 Dr. Sharmila K is a Pediatrician in Jubilee Hills, Hyderabad and has an experience of 16 years in this field. Dr. Sharmila K practices at Apollo Hospitals in Jubilee Hills, Hyderabad and Apollo Cradle in Jubilee Hills, Hyderabad. She completed MBBS from Osmania Medical College, Hyderabad in 1996 and MD – Pediatrics from Osmania Medical College, Hyderabad in 2003. Mrs.Harshini – Jubilee Hills, Hyderabad. I opted for a suite which was luxurious and was very posh. Dr Sharmila is a good doctor and very knowledgeable. The billing and discharge formalities were done brilliantly and kudos for that. The nurses and the other staff members were also very nice. The warm environment that you provided to us allowed us to have the birth that we wanted.